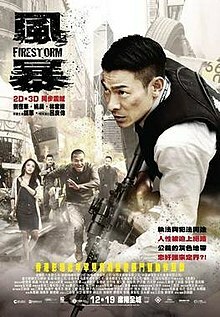 Andy Lau has had a long and varied career in Hong Kong films and still seems as busy as ever, this is his latest cop thriller Firestorm directed by Alan Yuen. 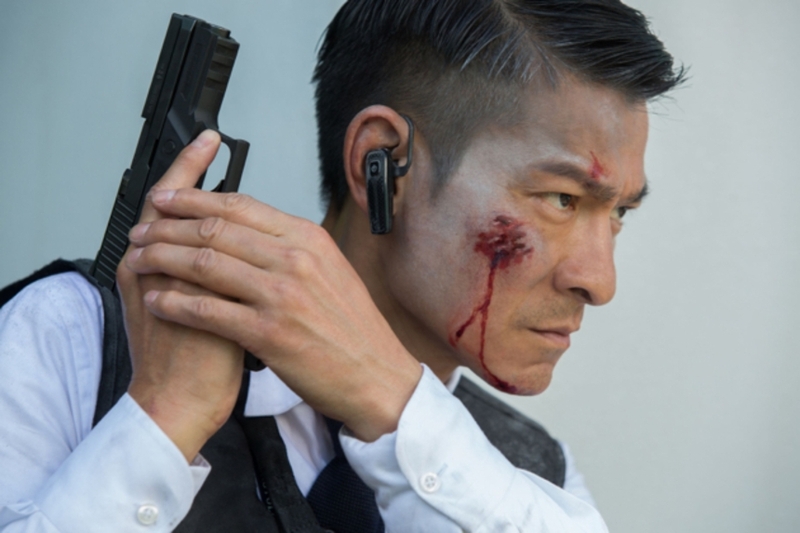 Lau plays a senior police officer Lui who has become obsessed with bringing down criminal gangster Cao (Hu Jun) and after a mole, he planted in the gang gets horribly killed, Lui makes it his one goal to bring down Cao once and for all. There is also a subplot with Lau’s old school friend Bong (Gordon Lam) who want to prove to his longtime girlfriend that he has gone straight and also tries to infiltrate the gang.Some of the film works well, the conflict of loyalty, the obsession with tracking down a criminal and also the action scenes while well over the top are spectacular in there execution. The gunfights are loud and bloody, reminiscent of Michael Mann’s Heat, but the problem is Liu’s character is never fully explained and you really get to care little about his fate, he is just a character who takes you from one action set piece to another. Gordon Lam as Bong is better realised as you get to see his struggle to go straight and to finally prove to his girlfriend that he is capable. Look out for cameo’s by Michael Wong as a police captain and Ray Lui as a gang leader. Action choreography is very well handled by Chin Kar Lok and action fans certainly get their money’s worth by the time the credits roll, it’s just a shame more thought was not given to the script. The Blu ray released by Edko in Hong Kong is a very good representation of the film in HD. The transfer is sharp and clean and draws you into the film superbly. Certainly a top notch transfer. Audio is Dolby TrueHD 7.1 Cantonese language and again is top drawer as you can imagine the action scenes really bring the film to life with the superb use of the whole sound-stage. The English subtitles are fine and easy to follow. Extra’s are trailers and just a standard making of which sadly does not have an English subtitle option. The film has been released onto Blu ray in the USA also with the same transfer. A good solid thriller, the action is great, if a bit over-reliant on CGI towards the end. BLU RAY IS LOCKED TO REGION A.